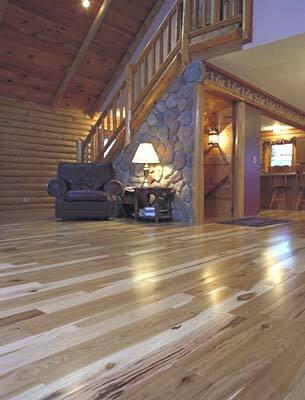 Wood flooring is available in a huge variety of sizes and characteristics, with each offering its own unique advantages. You will be pleasantly surprised by the breadth of choices at your disposal. Rock Solid has focused on matching the customer’s flooring needs and desires with the proper products and services. Unfinished wood flooring - requires installation, sanding and finishing. Pre-finished wood flooring - needs only installation. Solid wood flooring - completely lumber, is available in unfinished and pre-finished, and is produced as strip, plank and geometric parquet patterns. Engineered/Laminate wood flooring - produced by adhesive bonding layers of veneer and lumber, available in the same styles as Solid floors. Acrylic impregnated wood flooring - acrylic and color are forced into the pores throughout the thickness of the wood yielding an extremely hard, durable surface. These are available in the same styles as Solid and Engineered floors.